Remember when “A spoonful of sugar helps the medicine go down” was the catch phrase of the day? Well, soon it might be, “A spoonful of honey means you don’t need any medicine,” because research suggests honey is an effective remedy for childhood cough. While we’re mired in the thick of another cold and flu season, it’s time to remind parents of two important points: First, the Food and Drug Administration says cough and cold medications are not appropriate for children ages 6 and younger and may actually be dangerous; and second, research suggests honey may be the best treatment of all for helping children suffering from cough and related symptoms. Let’s deal with the safety issue first. 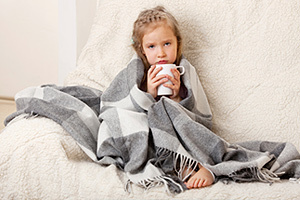 Over the past several years, the FDA has progressively investigated over-the-counter cough and cold medications, many either with dosing instructions for adults and children or for children only, depending on the type/brand. With little research done involving children only (after all, what parent would want their child to be the guinea pig in one of those studies? ), the general protocol was for dosing recommendations to be extrapolated from adults to children. In other words, there was little to no hard data providing any sort of a basis for how much of a given cough/cold medicine should be administered to children – or if it should be administered at all. Wouldn’t it be great if our kids had something natural to help them get rid of those nasty coughs, or at least minimize their duration? Well, perhaps they do: honey. For example, in a 2007 Pennsylvania State University College of Medicine study involving 105 children ages 2-18 with upper respiratory infections, children who were given buckwheat honey (between 1/2 and 2 teaspoons prior to bedtime, depending on age) coughed less and slept better than children who did not receive any honey or who received honey-flavored dextromethorphan (the primary active ingredient in many cough and cold medications). Talk to your doctor for more information, and keep in mind that honey is not recommended for children in their first year because it may contain botulism spores, which can be harmful to young children’s underdeveloped immune systems. 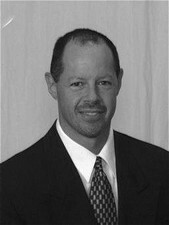 Dr. Keezer graduated in 1993 from Los Angeles Chiropractic College. He also has a Bachelor of Science degree in Human Biology. Dr. Keezer specializes in the treatment of cervical whiplash and degenerative arthritis. He incorporates a variety of specific spinal rehabilitative exercises for in office, and home care. Dr. Keezer uses several different chiropractic techniques including: Pettibon, Thompson, SOT, Diversified and Activator. He also assist with the proper use of supplements, exercise and weight loss programs. This diversified approach can result in accelerated improvement and patient satisfaction. Dr. Keezer also has consulted various local companies and organizations concerning back safety and injury prevention. He is available to speak to your group or organization about a variety of health topics. His office location, The Back Pain Relief Center, was established in 2007 and is located at 3701 Colby Ave, in Everett WA.. He currently offers chiropractic treatment, decompression, massage therapy, pain relief laser therapy treatment, and weight loss and detox treatments. Are you suffering from back or neck pain? You’re definitely not alone, and we mean on a global scale. A series of studies emerging from the Global Burden of Disease 2010 Project, a massive collaboration between the World Health Organization, the Institute for Health Metrics and Evaluation, the University of Queensland School of Population Health, Harvard School of Public Health, Johns Hopkins Bloomberg School of Public Health, and the University of Tokyo, Imperial College London, clarifies the worldwide health burden of musculoskeletal conditions, particularly back and neck pain, in crystal-clear fashion, with low back pain identified as the number-one cause of disability worldwide and neck pain the number-four cause. Overall, musculoskeletal conditions represent the second leading cause of global disability. When combined with neck pain (21st most important contributor to the global disease burden – death and disability), painful spinal disorders are second only to ischemic heart disease in terms of their impact on the global burden of disease. Spinal disorders have a greater impact than HIV/AIDS, malaria, lower respiratory infections, stroke, breast and lung cancer combined, Alzheimer’s disease, diabetes, depression or traffic injuries. 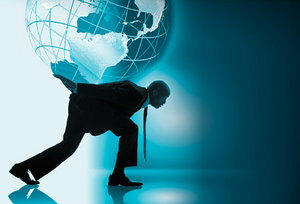 Current estimates suggest that 632.045 million people worldwide suffer from low back pain and 332.049 million people worldwide suffer from neck pain.”The Global Burden of Disease Study provides indisputable evidence that musculoskeletal conditions are an enormous and emerging problem in all parts of the world and need to be given the same priority for policy and resources as other major conditions like cancer, mental health and cardiovascular disease,” said Dr. Haldeman. The seven studies from Global Burden of Disease 2010, as well as accompanying commentaries, appear in The Lancet. To review the studies and all relevant material, click here. And by the way, when it comes to preventing and treating musculoskeletal issues, particularly back and neck pain, chiropractic care has been shown in numerous research studies to be an effective conservative option. If interesting in seeking chiropractic care visit: The Back Pain Relief Center. Posted on February 4, 2013 Categories UncategorizedTags auto injury, back pain, Chiropractic, climate, decompression, disability, harvard school of public health, health, medicine, neck pain, research, science, subluxationLeave a comment on Are You Suffering From the #1 Cause of Worldwide Disability?